Posted in: Public Outreach. 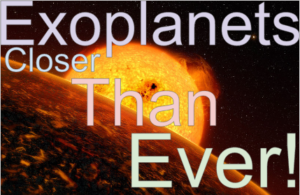 Tagged: exoplanets, public outreach. On Friday, November 4th, join the Boise State Physics Department for a public astronomy presentation about exoplanets from special guest Dr. Elisabeth Adams. Between planets that orbit so close to their stars that their year is measured in hours to the recently discovered planet around the closest star to Earth (Proxima Centauri b), exoplanets have never been closer. We will discuss what it would be like to visit an ultra-short-period planet, as well as a not-entirely-crazy plan to send probes to Proxima Centauri b. The lecture will be held on Boise State’s campus in the Multi-Purpose Classroom Building, room 101 at 7:30p. Weather permitting, we will then star-gaze on top of the Brady Garage at 8:30p until 11p. Posted in: Meetings. Tagged: art, planetary science, public outreach. I’m in beautiful (if not, totally sunny) California this week for the American Astronomical Society’s Division of Planetary Sciences annual meeting. 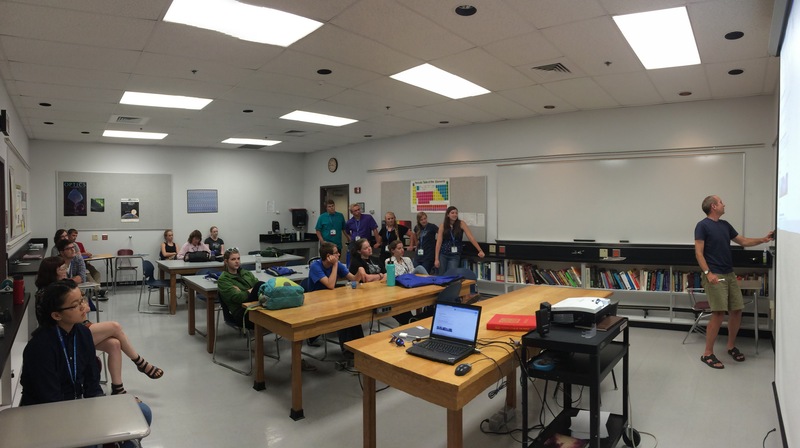 Before the meeting officially starts on Monday, I helped organize the DPS Educators’ Workshop, a DPS tradition where planetary science-types work with local school teachers to explain the most recent science and help them develop lesson plans and activities for their students. We spent several hours with teachers from all over SoCal and discussed lots of great activities, but one of the most popular and visually appealing is the Art and Astronomy activity. 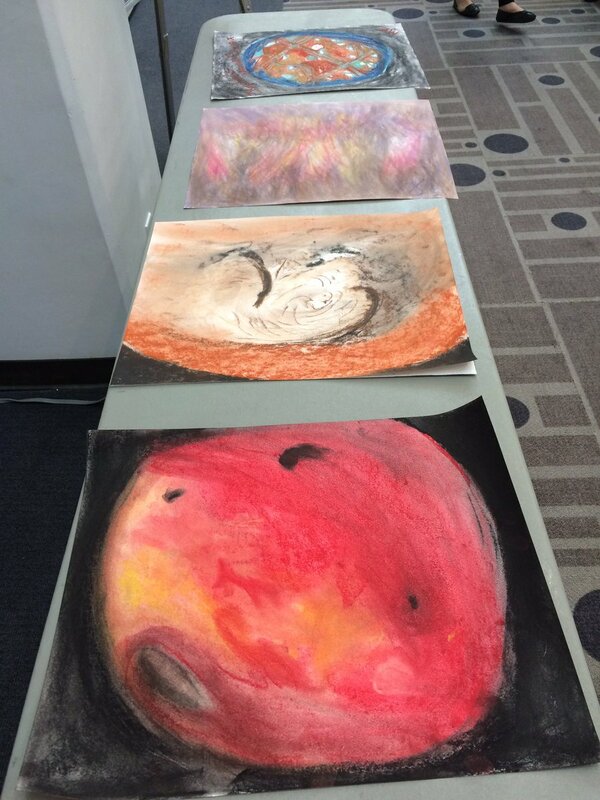 For this activity, we invite the teachers to recreate space-based images of planetary surfaces using pastels. As usual with this activity, the teachers at first demured but ended up creating stunning and vibrant images of craters, geysers, and river deltas. Posted in: Public Outreach. Tagged: astronomy, ponyup campaign, public outreach. 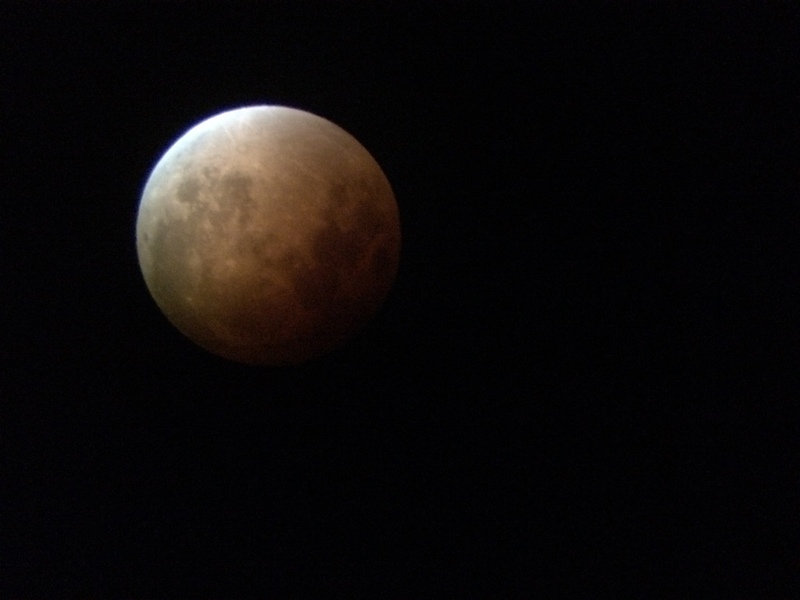 The Super Blood Moon from Boise State’s campus. We had a HUGE event last night on campus at Boise State. No precise estimates, but I’d guess we had a few hundred people show up for the eclipse, as well as Lacey Darrow of Channel 6. It was an amazing experience. Thanks to everyone for attending. Our Pony Up Campaign made its initial goal on Saturday morning, only halfway through the campaign. 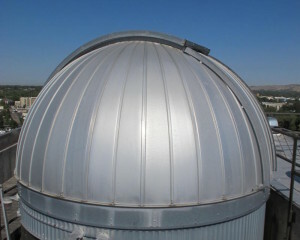 So we’re trying for a stretch goal of $2,000 to pay for wifi at our observatory. Wifi will significantly enhance our public outreach events and instructional efforts. It would also allow us to more easily stream live footage from our telescopes during public events. The campaign will run until Oct. 14. And thanks to Lynne Barnes for supporting us. Posted in: Public Outreach, Uncategorized. Tagged: astronomy, public outreach. As of this morning, we are halfway to our goal of $8,000. And in only the first week. Thanks very much to all those who have given, including Barbara Hatcher and Jim Ogle. Please talk to your friends and family and share your enthusiasm for our project and for astronomy. 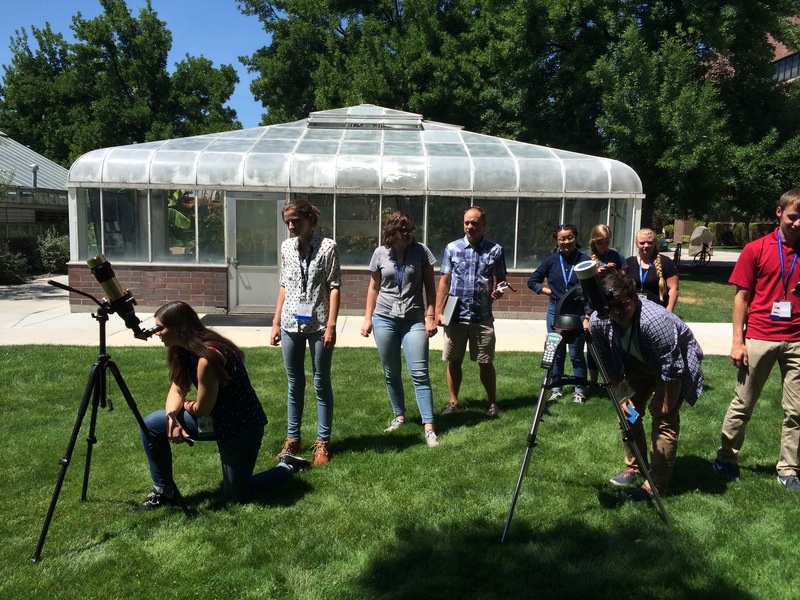 Your support means a lot to me personally and will help us usher in an amazing resource for astronomy education here in Boise. Posted in: Uncategorized. Tagged: astronomy, public outreach. 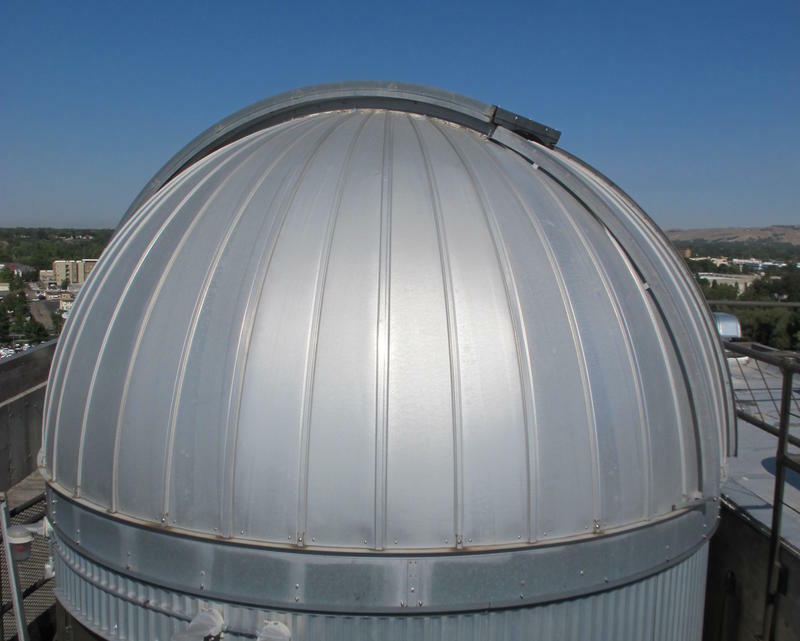 Samantha Wright over at our local NPR station, KBSX, put together a nice story about our crowd-funding campaign to refurbish the Boise State Observatory — http://boisestatepublicradio.org/post/one-idaho-professor-wants-bring-back-boises-space-observatory.